Industry had now dispensed with its integral Home Guard units, but still had the rifle ranges, either in the factory areas or as part of the Sports and Recreation departments. These were put to good use. Hobsons, Chubbs, Goodyear, G. K. N. Sankeys and Stewart and Lloyds all contributed to the growing interest, in the late 1950s and 1960s, in competition with the new B.S.A. Martini International Rifles that were replacing the trusty old B. S.A. 12/15s and Vickers on the ranges. Both the Royal Wolverhampton School and Wolverhampton Grammar School had indoor ranges for their Officer Training Corps and from the latter Robert Chittleborough and Eric Douglas came into National prominence. There was a shooting interest at Northicote School which is now a centre for youth sporting activities. Wednesfield High School has been the strongest in interest and achievement, this due in no small part to the school shooting master Les Evans, a former official of the now defunct National Air Rifle and Pistol Association. This school has seen its pupils compete in America four times, funded by its own efforts. The popular and demanding side of competition shooting was in the Wolverhampton Shoulder to Shoulder League, when teams would visit each other in a match. Perhaps one of the less popular venues in this League was Albrighton R.C.. The range was in an upstairs area by a garage, and in an effort to warm the place for the visitors the most inefficient of stoves belched choking smoke to the detriment of shooting and shooters. The close proximity of the Crown Pub however did compensate for the journey, which in some cases was by pedal cycle. Names from this club that spring to mind are C.C. Cooper and J. Williams. Codsall Rifle Club had its range at the Codsall British Legion, next to the R.A.F. Cadet Unit. It was an old Nissen that had seen better days, as the rust holes in the roof would testify; very pretty inside in the summer with the sun shining through them, but most objectionable when the rain came through in the winter onto the shooter and his kit. A little cramped in the club room, but with John Rogers and Graham Tooth, a friendly place. Joe Brooks was their oldest member shooting in the league. At the age of nearly eighty years, he purchased a brand new German match rifle, an Anschutz 54. The Chairman of the club was John Grainger JP. Sankey's factory had a range that was rather unique. Situated in the far corner of the sports field at Bilston, it was the only rifle range in the area where the target cards were in the open air at the butts end, requiring the riflemen to shoot through apertures in the clubroom wall - a difficult prospect on a foggy night. Arthur Simms, their top shot, always had the kettle on for visitors. That is just a very small thing that stands out, because it was his nice way of saying "Welcome" to someone who may have had to trudge 150 yards across thick snow or mud to reach the range, burdened down with rifle and heavy shooting bag. Hobsons, now Lucas Aerospace, had one of the only three ranges left for indoor 22 shooting in Wolverhampton. Behind the factory alongside the football pitch, it is a prefabricated building and though Spartan in the range, it has a comfortable club room. For many years one of the crack shots there was that League founder, W .D. McCouriy. Also from this firm, a young apprentice, Malcolm Thickbroom, took up the sport, where his first recorded card showed 87x100. Later he joined the James Gibbons Rifle Club and gained international honours by shooting for Great Britain before emigrating to South Africa. He held their national three positional championship and their air rifle title as well. Retired now, after a years of service to the Hobsons/Lucas club and a former secretary of Wolverhampton S.B.R.A., Miss Jean Taylor is still active in the sport. James Gibbons Rifle Team at Kynoch Works Range, Birmingham. Midland United Shield Winners and National Industrial Champions. Left to right: Don Green, George Turner, Ralph Jones, Frank Spittle. 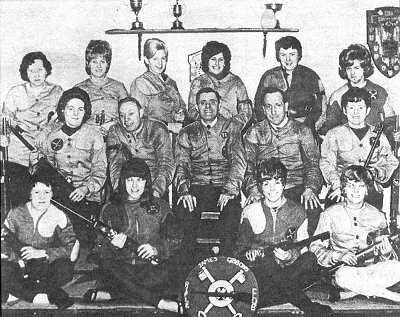 Perhaps the most successful local club would be The James Gibbons Rifle Club. After opening their shooting nights on the range of the Wolsley House T.A. Centre, Fallings Park in 1955, they purchased a redundant hospital ward from the R.A.F. Station Bridgnorth when the station closed down, relocating it at the James Gibbons Sports Club Birmingham New Road. It proved to be an asset of national importance. It was here that Three Positional (Standing Kneeling and Prone) shooting, international style air weapon and match crossbow shooting were all pioneered. More International shooters, national coaches and officials, originated from this club than any other in the area, ladies and juniors included. 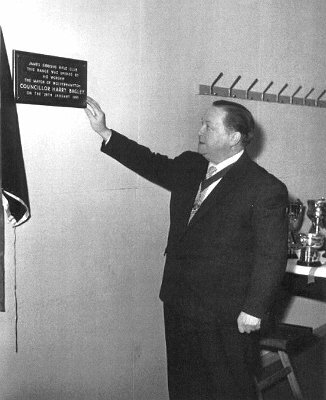 Councillor Harry Bagley, Mayor of Wolverhampton, opening the James Gibbons Rifle Range, Birmingham New Road, 28th January, 1965. Back row: Mrs. Rose Turner, Mrs. Barbara Hickman, Miss Valerie Beesley, Miss Diane Phillips, Mrs. Sheila Mason, Miss Glenys Edwards. Middle row: Mrs. Brenda Spittle, Alan Hartill (club coach), George Turner (secretary), Frank Spittle (Captain), Miss Glenys Edwards (Ladies' Section Champion). Front row: Miss Francis Astbury, Miss Brenda Spittle, Miss Gillian Morgan, Mrs. Irene Maybury. 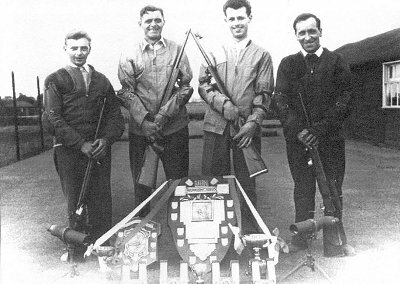 Members of the West Midland Police shooting team shot as members of the Gibbons Rifle Club, three of them winning the honour of National Police champions: D C Eric Williams, Sgt. Maurice Regan and Sgt. Geoff Partridge. Amongst many other achievers were Frank Spittle, who twice won the Queen Alexandra Cup at Bisley. Special mention too of Don Green, who did so much to bring success to the Great Britain Junior Squad while serving as National Coach. Junior member John Spittle was the first ever Great Britain Junior to win a medal abroad. 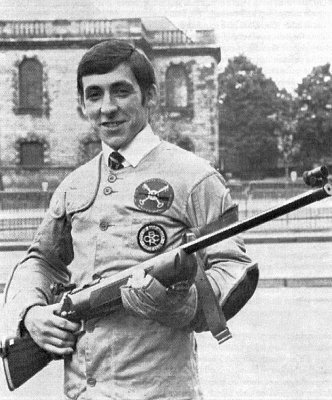 At the European International Shooting Union Championships Versailles in 1969 he took the silver medal, missing the gold by one point with a score of 590 x 600. A little less publicised club that in the past gained much shooting credit for the town, was the Wolverhampton Rifle Club who shot full bore 303/762 calibre. This famous club was run by the well known Wilcox shooting family of Penn Fields. Lt. Cdr. Wilcox captained the England Rifle Team on the famous Bisley Ranges.